If you believe that any from the details is incorrect, please get in touch with us. Help us be better day-by-day. Updated on 2019 CONCEPCION ARENAL,12 BAJO 50005 - ZARAGOZA , . Updated on 2019 Paseo de los Rosales s/n , Saragossa (Zaragoza) , Spain (Postal Code: 50008). This sports center offers 25 meters, 6 lanes, Indoors. Contact info for this Pool for instance phone number and email address are number. Updated on 2019 ALMADIEROS DEL RONCAL,5 3ºD 50015 - ZARAGOZA , . Updated on 2019 Parque Macanaz , Saragossa (Zaragoza) , Spain (Postal Code: 50018). This sports center gives 25 meters, 6 lanes, Indoors. Contact info for this Swimming Pool which include phone number and email address are number. Updated on 2019 RESIDENCIAL PARAISO, 10 50008 - ZARAGOZA , . Updated on 2019 Residencial Paraíso 10 , Saragossa (Zaragoza) , Spain (Postal Code: 50008). 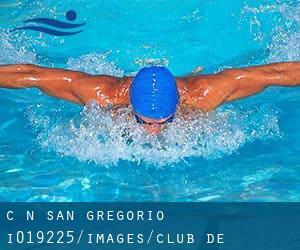 This great and large sports center lets professional swimmers like you enjoy 25 meters x 20 meters, 6 lanes, Indoors. Additionally, within these facilities you can try 25 meters, 3 lanes, Indoors. Phone number and e mail address are number for this Pool. Updated on 2019 Luis Bermejo s/n , Saragossa (Zaragoza) , Spain (Postal Code: 50009). Swimmers like you reported 25 meters x 12.5 meters, 1.45 meters depth, 1.45 meters depth, Indoors. Phone number and e-mail address are number for this Pool. Updated on 2019 AVDA. LAS TORRES, 79-89 50008 - ZARAGOZA , . Updated on 2019 PASEO DE LA MINA, 4 - 10 50001 - ZARAGOZA , . Updated on 2019 Calle Argualas 50 , Saragossa (Zaragoza) , Spain (Postal Code: 50012). Swimmers like you have reported 25 meters x 18 meters, 8 lanes, Indoors. Also, you will find 18 meters x 12 meters, Indoors. If you will need to contact this Pool, e-mail address and phone number are both number. Updated on 2019 Via Iberica 69 - 77 , Saragossa (Zaragoza) , Spain (Postal Code: 50012). Few days ago a normal user of this center told us they offer Olympic size, 10 lanes (8 for competition), Indoors. Furthermore, they keep in good conditions 20 meters, 4 lanes, Indoors. For this Swimming Pool, only phone number is number here. Updated on 2019 PARQUE MACANAZ, S/Nº 50015 - ZARAGOZA , . Updated on 2019 MARIANO LUCAS, 5 50015 (ZARAGOZA) , . Updated on 2019 FRAY JULIAN GARCES, 100-106 50007 - ZARAGOZA , . Updated on 2019 ALFEREZ PROVISIONAL, 16 2ºIZQ. 50006 , . The info of this Pool has been verified recently by a member of their staff.